Plan a trip to Aulani Resort in Hawaii. 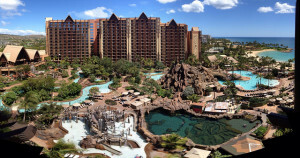 For more information about Disney Aulani, click here. Disney in paradise — what could be better? 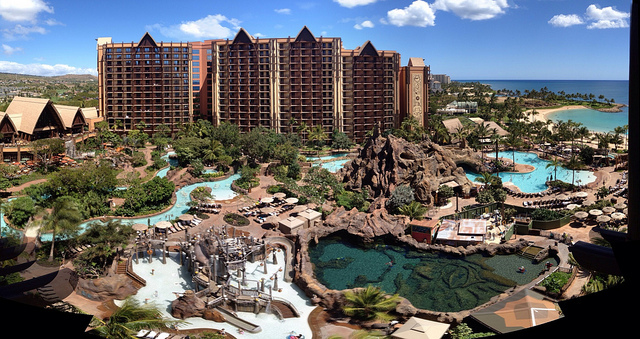 The Aulani Resort is a beautiful vacation destination just a short distance from Waikiki. The hotel features over 350 rooms and 481 Disney Vacation Club Villas, plus 4 restaurants and loads of activities for all ages. And, as if that wasn’t enough, it’s in Hawaii! As a one time resident of Hawaii, I can help you make the most of a vacation to Aulani Resort. It’s the magic of Disney surrounded by a tropical wonderland.